Flipkart, India’s largest marketplace, has announced a first of its kind tie-up in the automobile industry with Mahindra & Mahindra Ltd. (M&M), India’s leading SUV manufacturer, to open online bookings for Mahindra’s much awaited SUV - KUV100, exclusively through Flipkart. The online bookings for the compact SUV will be open from mid-night of January 18th, 2016. 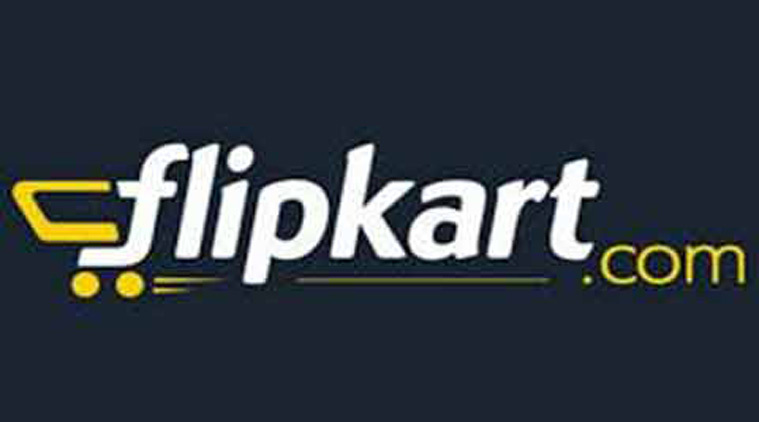 Flipkart launched Automobiles as a category last month with a vision to change the way vehicles are bought in India. The association with Mahindra is another step in that direction. The two entities have come together to deliver superior customer experience with assured in-a-month delivery. Flipkart currently also offers a wide range of automotive accessories as part of its endeavor to become a destination for all automotive needs. Mahindra's much awaited compact SUV KUV100 (pronounced as KUV '1 double Oh'), has been conceptualized and developed with the aim of creating an entirely new category. The KUV100 is a compact SUV where 'K' stands for the 'kool' & trendy generation of youth, while UV represents an SUV. The numeric '100' represents the pecking order of the series which comes in below TUV300 and XUV500. With its aggressive styling and dominating SUV stance, the KUV100 remains true to the tough and rugged Mahindra DNA. 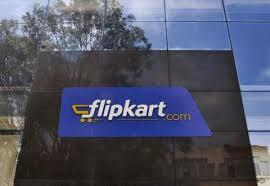 Speaking on the association with Flipkart, Veejay Ram Nakra, Senior Vice President, Sales & Customer Care, Automotive Division, Mahindra & Mahindra Ltd. said, "We are happy to announce this tie-up with Flipkart, one of the pioneers in the e commerce category. Being two young brands, both KUV100 and Flipkart complement each other. This tie-up with Flipkart further reinforces our customer centric initiatives. With the ever increasing population of internet users, this was a step in the right direction for us, especially for brand KUV100 that targets the young and trendy. I am sure that this association will be mutually beneficial for both the companies. " Designed in-house and engineered at Mahindra's world class research and development facility, the Mahindra Research Valley at Chennai, KUV100 will be powered by the world-class mFALCON, an all-new engine family with options of both petrol (mFALCON, G80) and diesel (mFALCON, D75). The mFALCON is a compact lightweight engine built to deliver peppy and high performance. Targeted at the youth and first time car buyers, the KUV100 is contemporary to the core and truly stylized with best in class technologies. An indigenously developed monocoque SUV, the KUV100 will have many firsts to its credit including the first ground up petrol engine offering from Mahindra. In fact, all research & development activities for this compact SUV were aligned with global standards of quality, technology, testing norms, regulations and emissions from the very start. Idea Cellular, one of the largest Indian telecom operators, has announced the launch of its high speed 4G LTE services across four more states in India (three Telecom Circles) – Chhattisgarh, Haryana, Madhya Pradesh and Punjab. With this launch, the company has expanded its 4G LTE service footprint to 7 telecom service areas, including the 4 telecom circles of South India, namely Andhra Pradesh & Telangana, Karnataka, Kerala and Tamil Nadu & Chennai, which were launched on 23rd December 2015. Idea’s 4G LTE services will be available across 183 towns in these 7 telecom service areas by 31st January 2016. Major towns to be covered with Idea’s 4G LTE services at launch include the cities of Indore, Bhopal and Raipur in Madhya Pradesh and Chhattisgarh (MPCG), Chandigarh, Firozpur, Hoshiarpur, Kapurthala, Moga and Pathankot in Punjab, and Ambala, Karnal, Hissar, Panipat, Rohtak and Sonipat in Haryana. Other major towns including Gwalior, Jabalpur, Jalandhar, Muktsar, Patiala, Sangrur, Charkhidadri and Pinjore will follow by 31st January 2016. Idea Cellular is the leading mobile telecom service provider in MPCG, providing unmatchable coverage on 2G platform and an extensive network of 3G services across these two states. With this launch, Idea Cellular has become the first mobile telecom operator to offer latest 4G services in MPCG. The company’s world-class 4G services will rapidly expand to cover 84 towns includingAmbikapur, Anuppur, Bhilai, Bilaspur, Chhatarpur, Katni, Kawardha, Korba, Mandsaur, Neemuch, Rajnandgaon, Ratlam, Sagar, Satna, Sehore, Shahdol, Shivpuri, Ujjain and Vidisha by March 2016. 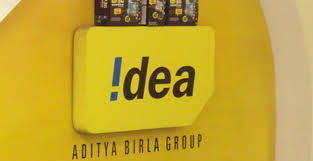 Idea has 2.7 million 4G devices, nearly 4% of its subscriber base in these 7 telecom service areas, registered on its network. In comparison, on an All India basis, Idea has nearly 49.5 million customers owning 3G devices (approx. 29% of EoP) and over 6 million customers with 4G devices (approx. 4% of EoP). A friendly cricket match followed by Mehendi and Dandiya night! 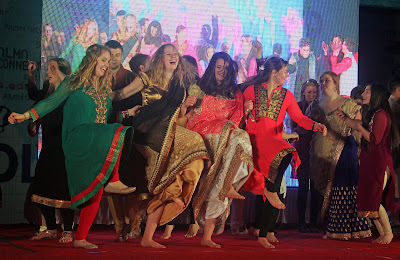 Management students from USA, Norway and their counter parts from PES UP-India Management Programs performing to the Dandiya dance tunes with traditional attire. Hundreds of spectators including top executives from various Multi-National Companies (MNCs) and academicians were mesmerized by the traditional Dandiya dance which is associated with scenes of Holi, and Llila of Krishna and Radha at Vrindavan. Last ten days were very unique for the 24 students from USA and Norway. As part of the Discover India programme, these 24 students visited historical and cultural cities of India beside visiting the corporate offices of various Multinational Companies. What added more colour to their Discover India tour was friendly Cricket match, Mehndi, Dandiya evening etc. Discover India was a short term study program organised in association with PES Institutions and IUP-India Management Programs of the city. As part of this programme students from US and Norway visited between January 5 and 14. All the students had educational, entertaining and exciting time in India on all nine days. As part of this initiative students visited world famous TajMahal, one of the seven wonders of the world, as well as many historic sites in world tourist places like Jaipur, Delhi, Bengaluru and Mysore. Beside visiting all these historical sites students also visited MNCs including Schneider, Coca-Cola and TVS. At Mysore city students visited the various places including world famous Mysore palace. At Bengaluru city they visited Chithrakala Parishat and Vidhana Soudha. India touch: a friendly cricket match which is very new to the US and Norway students, Mehendi and Dandiya evening at PES Institutions added more colour to this 9 day programme. At PES institutions, these students in traditional Indian attire participated in the Mehendi programme which was followed by a Dandiya performance by them. 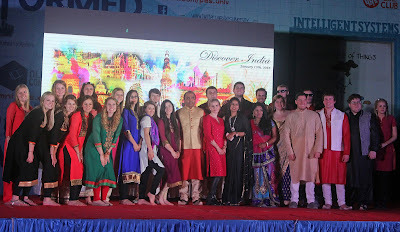 Students of IUP India MBA program also added more colour to this Dandiya night. Symposium: as part of this Discover India event seminar on variety of topics including Indian economy, business and culture were held at PES Institutions which was followed by a panel discussion with Management of PES and IUP. 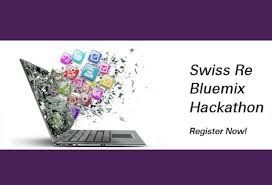 Swiss Re, in partnership with IBM, have announced its plan to host India’s first innovation hackathon event exclusively for the reinsurance industry. 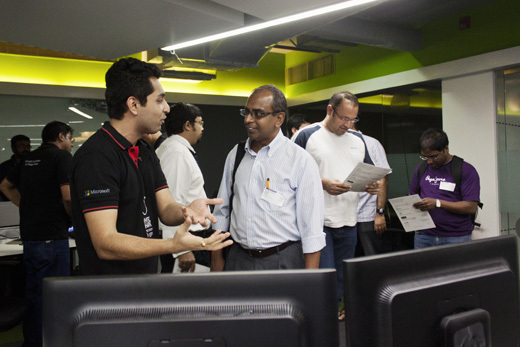 The two day event, scheduled on January 30-31, 2016 at Workbench Projects, Bangalore, aims to provide participants with an opportunity to develop user-based apps, utilizing data science, and harnessing cognitive technology from IBM Bluemix suite to address the growing needs of the insurance industry. Themed "My Personal Risk Advisor", the purpose of the challenge is to enable individuals or small business owners to assess their total risk profile and learn about various product offerings. The hackathon is open to students and developer community – all those who aspire to design technology and aims to encourage developers to create innovative applications that can be integrated with digital solutions. “The world, today, is rapidly changing and to keep pace with the risk landscape, we need to continually innovate around how we offer risk protection products,” said Alok Kumar, Managing Director, Swiss Re Bangalore. “Through this hackathon, we are creating an innovation platform that reinforces our long-standing commitment to bring out new and improved solutions that directly addresses real-world business challenges for the insurance industry,” he added. An entry free competition, the hackathon is a team-based event. The participating teams will go through a shortlisting and selection process. Teams can register on the Swiss Re registration site and submit their idea, post which organizing team will notify the shortlisted entries. The last date for online registration is January 20, 2016. The winners will be rewarded with exciting cash prizes and also be considered for an exciting career placement at Swiss Re Bangalore office. With eyes firmly set on becoming a leader in the casual dining space, Big Fish ventures, a Delhi based start-up plans to open new outlets by raising around 200 crore rupees through venture capital funding. The start-up venture which caters to café dining and hangout segment of the market and runs premium dining lounges like Vault Café, Garam Dharam is mulling to launch new brands like Public connection, Oh My god (OMG), Junkyard, Three Peg Down over next 3 months. With a host of brands in operation and new launches in the pipeline, Big Fish ventures indeed have ambitious plans in place as it aims to clock sales of over 50 crore in FY 15-16 and 150 crore in FY 16-17 respectively. “Our vision is to become a super brand in Indian casual dining, café and lounge space. Unlike other brands who focus on creating single brand with standardized products, we aim to bring a cluster of concept based different brands across genres and large formats”, said Umang Tiwari, a veteran in Hospitality and founder of Big Fish ventures. The company also plans to beef up their presence by increasing the total number of outlets to over 40 under different brands and by extending their presence across 8 cosmopolitan cities. The company has also roped in Nishant Singhal co-founder of YouWeCan ventures along with cricketer Yuvraj Singh. “We want to create an investment vehicle across cuisines and concepts in the restaurant and eating out space. 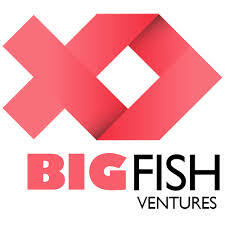 Funds between 50 or 60 crore for the first eight stores are already in place and Big Fish intends to operate 8-10 large format stores of 5000-8000 square feet by the end of the year”, said Nishant Singhal who has joined Big Fish ventures as Chief Mentor. To address the issue of shortage of skilled manpower, biggest issue that mar the industry Big Fish ventures will employ and train 5000 professionals in various aspects of the job. Tiwari said, “Dearth of skilled manpower is the biggest issue faced by our industry. We will set up Big Fish Academy to address this challenge and train team of 5000 professionals like Outlet managers, servicing staff, bar tenders and chefs”. Big Fish ventures currently employs 500 employees. Big Fish will also bring all its outlets on a mobile application to provide seamless booking and payment experience to customers. Startups Club, a premier destination for early stage startups, today announced the kick-off of their year-long event, Demo Day 2016 in Bangalore. Demo Day 2016 will take place across 10 cities and provide early stage startups with the opportunity to attend boot camps, meet investors, secure funding and win prize money. The 4th edition of Demo Day will be hosted in Bangalore, Chennai, Hyderabad, Coimbatore, Mumbai, Delhi, Pune, Kochi, Ahmedabad and Vizag. Each city will have local startups presenting their ideas and one winner from each city will win prize money of Rs.1 lac. These top 10 winners will then participate in the Chennai finale in December 2016, where they will present their ideas to a prestigious panel of Investors, Mentors & Entrepreneurs. The national winner will be awarded with a Grand Finale Prize of Rs.5 lacs plus many tools as support system. Indian startups are attracting more funding in early stages than ever before. 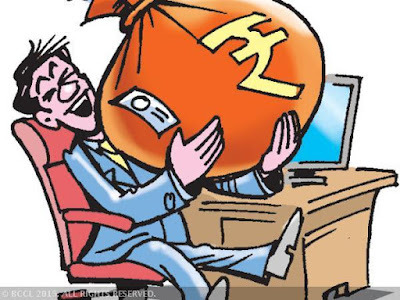 In the first nine months of 2015, around $1.4 billion in early stage investments—the highest ever for the country—has been pumped into startups, according to data from Venture Intelligence, a research firm. Last year, 304 deals saw a total funding of $1.2 billion. 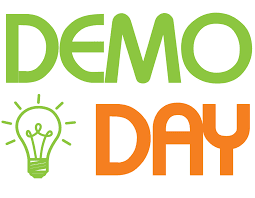 “Demo Day is a platform for a cherry-picked set of startups to pitch to a set of investors to possibly raise funds. Demo Day 2016 promises to be bigger and better, covering 10 cities across India, with over 1500 attendees across locations and participation from around 100 startups. We are confident that early-stage startups will leverage the platform to take their ideas to a larger audience and create a compelling value proposition,” said Salma Moosa, Core Organizer, Startups Club.